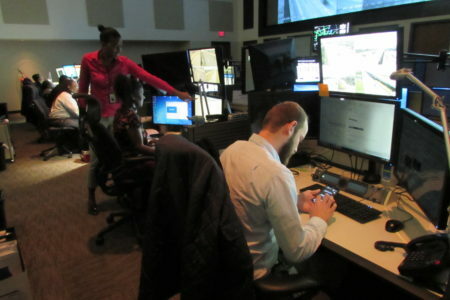 Posted on December 28, 2016 · Metro’s social media team communicates with thousands of riders every day. Online they’re known only by their first initials. Posted on August 25, 2016 · The transit agency is emphasizing pedestrian and bike safety in its latest campaign. High-Speed Rail: What Would Be the Economic Impact? What Could Become of $40M of Unspent Federal Transit Funds? 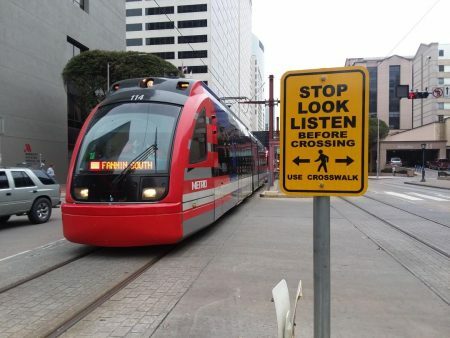 Posted on July 2, 2014 · Houston Public Media Transportation Reporter Gail Delaughter joins us to tell us about a public meeting Tuesday night in Houston’s East End held by METRO, to share updates on a Green Light Rail overpass. Then, we welcome your questions for Gilbert Garcia, Chairman of the Metropolitan Transit Authority. Posted on May 13, 2014 · Private company hopes to provide a 90 minute trip between the cities. 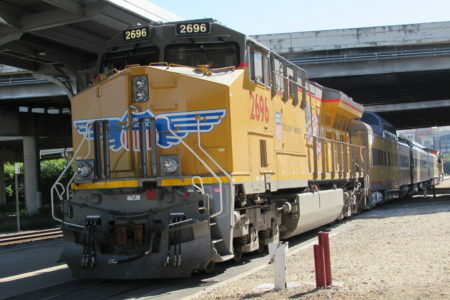 Posted on November 10, 2009 · An engineering firm has been hired by the Gulf Coast Rail District to study the feasibility of using an existing freight rail line for commuter rail along Highway 290. Results will eventually be presented to the federal government to help fund commuter rail for Houston. Pat Hernandez has the story.